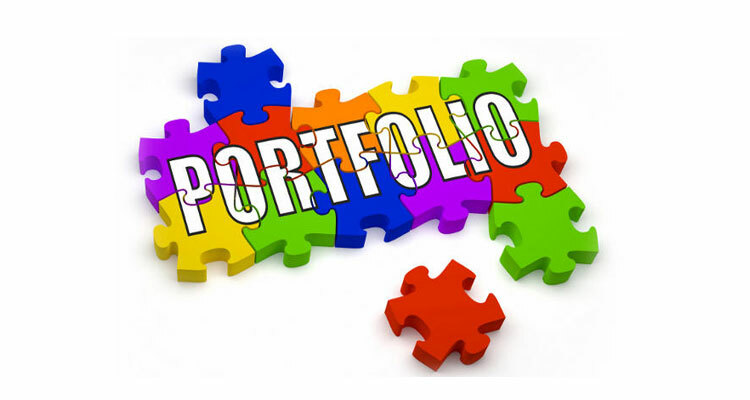 What Should Be In Your Portfolio? You are at:Home»Advice»What Should Be In Your Portfolio? With the more than 1270 (and growing) cryptocurrencies in the marketplace, it can be a daunting and even frustrating task in selecting the right ones. So which ones does one choose? I cannot answer that question without having researched them all and separating them out. And, that more currencies are added each day, one would be an uphill battle if you are a staff of one. But this is what I do know and feel very confident about. There are four currencies an investor should have in their portfolio. Other coins can be added as the individual based on an individual’s personal preference and their feeling and belief in a coin. Bitcoin (BTC). Your portfolio should hold 33% Bitcoin. The reasons are obvious. Bitcoin is king. It has nearly a 60% dominance of the cryptocurrency marketplace and it has no competition. Almost all Altcoins are purchased with Bitcoin. Bitcoin is the “gold” of cryptocurrency. Gold is the most valuable and precious metal on earth. Bitcoin is the most valuable and precious cryptocurrency on earth. Thus, without Bitcoin, cryptocurrency would die. Ethereum (ETH). Your portfolio should hold 30% Ethereum. Ethereum is going to be huge because it will be the world’s very first digital “Smart Contracts” platform. Contracts such as apartment and car lease agreements, property purchases (individual, business, corporation, governments, etc) can be transacted without the need of the middlemen (Lawyers, Accountants, etc) who along the way get a cut in the action. Imagine the money saved. To give you a simple example of how an individual might use Ethereum. I have a used car for sale for $10,000 and I have an interested buyer. The Ethereum contract is programmed to verify the transaction and it is executed once. The buyer pays me $10,000 in Ethereum currency and the Ethereum platform automatically transfers the title into the buyer’s name, contacts the DMV who processes the registration and title paperwork, notifies the banks and registries and posts the sale. No middlemen. A true peer-to-peer (P2P) transaction on the Ethereum Blockchain. This is what cryptocurrency was designed to do, cut out the middlemen. Litecoin (LTC). Your portfolio should hold 10% Litecoin. Litecoin is – as its name implies – is a lighter coin build on the Bitcoin Blockchain. It is an offshoot or “fork” of Bitcoin. Litecoin is faster than Bitcoin in that Bitcoin blocks (of transactions) are updated on the Bitcoin Blockchain every 10 minutes. Litecoin blocks (of transactions) are verified every 2.5 minutes. So, Litecoin speeds up the transaction verification process. Faster verification speeds equate to lower transaction fees. Litecoin is poised to reduce the verification process even further. So, that makes it a great investment for the future. I view Litecoin as the “silver” of cryptocurrency. ZCASH (ZCASH). Your portfolio should hold 25% ZCASH. ZCASH is a platform and technology that allows cryptocurrency transactions to be fully private. It solves the privacy issues and is an excellent payment system in volatile locations in the world.It solves problems inherent in credit reporting anonymous voting, financial transactions, storing and permission-based sharing of medical records, and much more. ZCASH is already being used as currency in Venezuela and Zimbabwe where the local currency is worthless and the people within those countries are trying to bypass their corrupt and turbulent governments without fear of being discovered. Many major financial institutions will be using the ZCASH platform and this is what will make it a game changer. The above are only my suggestions. You can vary the percentage of each coin you hold. I believe that what I have listed above will weather the storms ahead and you will come out on solid ground with a portfolio that has is rock-solid and has increased significantly in value. What about the other 2%? Go here to find out.